Sashastra Seema Bal has organized the recruitment for SI (Staff Nurse Female), ASI (Operation Theatre Technician), ASI (Radiographer), Head Constable (Min), ASI (Pharmacist), ASI (Dental Technician), ASI (Stenographer) to fill 181 vacancies. Answer Key is very useful tool for pre forecast the result. Candidate who had faced in this exam are curious to know their answer key. Answer Key is a best way for checking our performance Because with the help of the Answer key a candidate can evaluate oneself position. So Those candidate who have faced the written exam is eager to know the Answer Key are advised to be in touch with the official website of SSB and visit to the SSB Official website regularly. 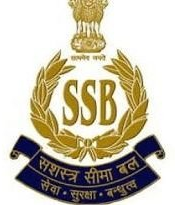 Sashastra Seema Bal (SSB) had invited applications for recruitment to 872 posts of Sub-Inspector (Communication), Assistant Sub-Inspector (Communication) and Head Constable (Communication). Many Interested & Eligible Candidates Filled there Online Application Form for These Posts According to there Preference. All the Successful Candidates of PST/PET & Documentation face the Written Exam on the Date 09.09.2018 for ASI (Communication) & 16.09.2018 for SI (Communication). The Written Exam was divided in two question papers carrying 100 questions each. The Time duration was 02:00 hours (120 minutes) for each paper. Firstly, log on to the official website of SSB, visit here. Now, on the homepage, Search for the SSB SI / ASI / HC Exam Key under the Latest updates. Check whether it is the right link or not. After finding the correct link, click on the link to view the Answer key. Now, Download the SSB SI Final key. Crosscheck your answers with the help of Official SSB Written Exam Answer Key 2018. Finally, if necessary take a printout of it for the future reference. General Knowledge : History, Geography and Socio Economic development of India. Knowledge of current events of National and International importance and such matters of every day observation and experience in their scientific aspects as may be expected of an educated person who has not made a special study of any scientific subject. Paper will also include questions on Modern History (From 1857 onwards) of India, Indian culture, Indian Polity, Indian Economy, Geography of India. Numerical Ability : The test of Arithmetical and Numerical abilities will cover Number Systems including questions on Simplification, Decimals, Fractions, L.C.M., H.C.F., Ratio & Proportion, Percentage, Average, Profit & Loss, Discount, Simple & Compound Interest, Mensuration, Time & Work, Time & Distance, Tables & Graphs, etc. General English & Hindi : Candidates’ ability to understand correct English, his basic comprehension and writing ability, etc. would be tested. Questions will be asked from error recognition, fill in the blanks (using verbs, preposition, articles etc), Vocabulary, Spellings, Grammar, Sentence Structure, Synonyms, Antonyms, Sentence Completion, Phrases and Idiomatic use of Words, etc. General Reasoning : It will include the question of both verbal and non-verbal type. Question will be asked from analogies, similarities and and differences, problem solving, relationship, arithmetical computation and other analytical functions, Venn diagrams, relationship concepts and Ability to observe and distinguish patterns etc. Questions in this paper designed to test the core competency of the candidates in his technical subject.